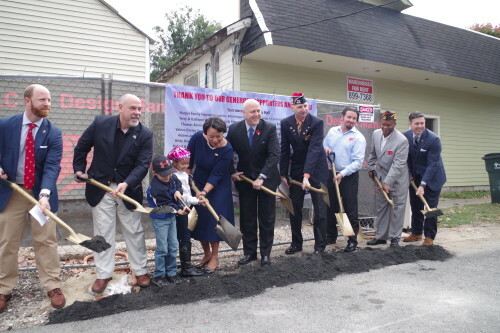 The New Orleans Veterans of Foreign War Post 8973 (VFW) celebrated the official groundbreaking for their new facility at 531 Lyons Street on Veterans Day (Nov. 11). 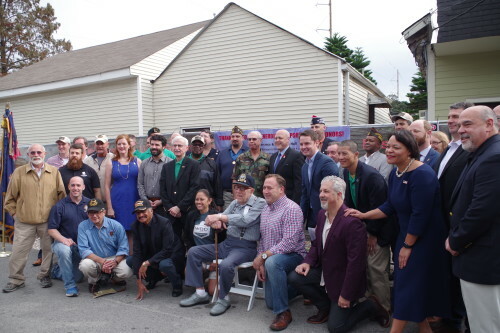 Together with members of the post, public officials, and the project’s general contractor, Design Management Group, the VFW celebrated the beginning of the post’s renovation and construction after more than six years of planning and fundraising. 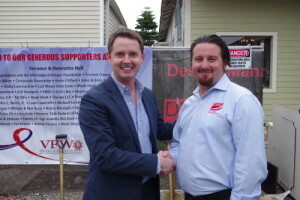 The full scope of the renovation entails demolishing more than half of the post’s existing structure and replacing it with new, modern construction while preserving the footprint of the original VFW Hall. The renovation­ and construction project will allow post members to provide confidential resources, medical lodging, and community meeting space to veterans in a new, state­-of-­the-­art setting. The VFW post was founded in the 1950s, and is currently housed at a former store front in the Irish Channel community. Now one of the fastest growing posts in the U.S. and the only active post in New Orleans, VFW Post 8973 priority initiatives include: assisting Veterans with VA claims, reaching out to homeless veterans; providing lodging for veterans treatment for traumatic brain injury; repairing the grave sites of veterans; and serving as a resource to elected officials on policy matters concerning veterans. To learn more about New Orleans VFW Post 8973, visit nolavfw.org.